Whether you’ve owned your current home for years, or you’re just moving into your very first place, the time will come when you need to decide if you want to hire a lawn care service (or even your local teenager looking for a few extra bucks) to cut your grass or if you want to tackle project yourself every weekend. While the temptation to outsource the time-consuming task can be strong, there are many good reasons to grab your mower, pop on some headphones, and mow, mow, mow your lawn all by yourself. Here are a few of the best. Regular, consistent lawn mowing in the warmer months will keep your grass healthier and looking great. Cutting grass to the correct height week in and week out allows all areas of the lawn equal opportunity to soak up all the sun and water it can. This keeps your little bed of green heaven growing evenly. Regular mowing also helps combat pests, keeps weeds at bay and, if you use a mulching mower, can even leave behind small bits of mulched grass, which acts as a natural fertilizer. Sure, you could hire this job out every weekend, but doing it yourself will allow you to make sure the job is done exactly how you like it. 2. According to Psychology Today, the benefits of mowing your own lawn don’t extend just to the grass itself. The simple act of the job can do wonders for your entire body. The most obvious health benefit comes in the form of a solid cardio workout. Unless you’re using a riding mower, cutting your lawn can be a physically taxing exercise (yes, even if you’re using a self-propelled mower; you still have to do all the walking). For someone who might not be very physically active, cutting the grass every weekend is a great way to get moving. In addition to the cardio benefits, Psychology Today also says that the “repetitive movement of mowing helps you slip into a calmer state of mind.” Add in the lush surroundings, the “soothing aroma” of freshly cut grass, and the pride that comes with a well-manicured lawn, and you’ve got a quick pick-me-up in the form of a weekly chore well done. Just make sure you wear hearing protection and a mask (companies like RZ Mask make modern masks that are both stylish and comfortable, if you don’t want to wear a big, old respirator) to keep out gas fumes while mowing, and you’ll reap plenty of health benefits. Depending on where you live and whom you hire to mow your lawn, you might be shelling out a pretty penny just to do a job that you could probably do yourself instead. 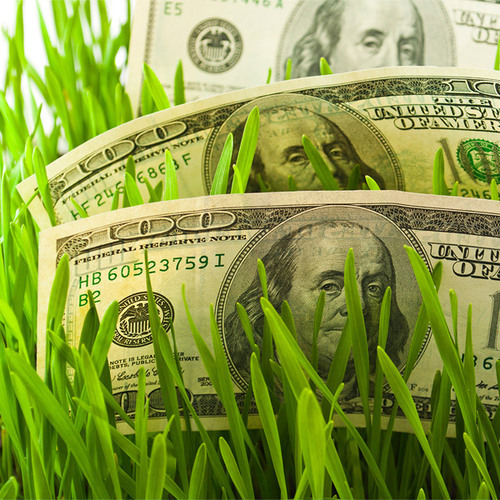 Some lawn maintenance companies won’t even mow your lawn unless you’re already a client, which means you’ll end up paying even more for lawn care. And, trust me, paying for seeding, irrigation, and weed prevention is expensive. Sure, paying the kid down the block to cut your grass might be a cheaper alternative, but chances are you’ll end up having to go over the spots he missed anyway. Instead, invest a bit of money right at the beginning to buy a trustworthy lawnmower and you’ll save a ton of money in the long run. If you can do your own maintenance on the mower (by changing the oil, sharpening the blades, and tuning it up every year), you’ll save even more. There are plenty of lawn maintenance companies out there that do a great job. They have more powerful equipment, more manpower, and usually more experience than you could ever hope to have. With all that being said, however, they don’t mow your lawn like you would mow it. Maybe they won’t leave the clippings behind to help fertilize the lawn (or maybe they won’t bag the clippings, if that’s what you want). Maybe they’re a bit reckless as they drive around on their high-powered machinery (a neighbor of mine had his fence broken three times by his lawn care company of choice). Or maybe they’re just too darned expensive. By mowing your own lawn, you get to call all the shots. If you want to take all of Saturday to carefully manicure your lawn until it looks perfect, you can do just that. 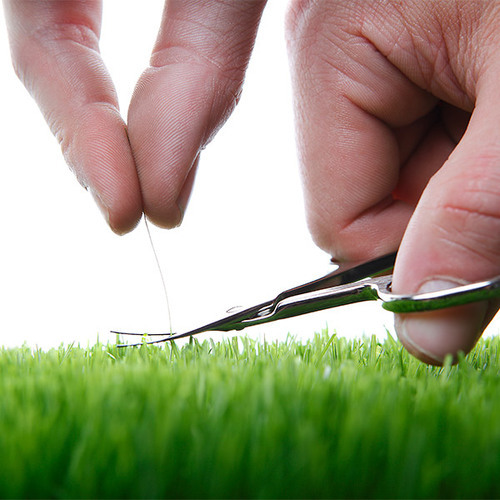 If you want to cut vertical, horizontal, or diagonal stripes in your lawn, you totally can. And if you want to do donuts with your push-mower until you’re dizzy, have at it. Be honest: How well do you really know your yard? Do you know where the low spots are that gather water when it rains? 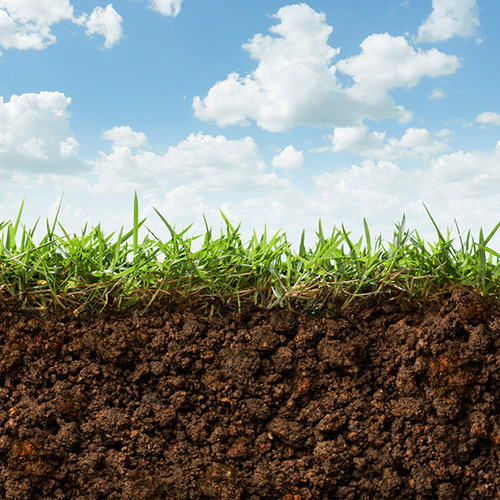 Do you know the high spots that get patchy when it’s dry? How about those divots that the kiddos might trip in while running around? Exactly! We all think we know our yards, but when you cut your own grass week in and week out, you really get to know every facet of it. Not only does regular lawn mowing give you a chance to really find out which areas of your yard needs the most care and attention, but it also helps you discover things you might not have otherwise (like that one long, soft patch the groundhog left behind). Not only does knowledge help you become master of your domain, but it can also help prevent injury, give you ideas for other cool DIY projects for your yard, and even keep bigger problems (like potential flooding) at bay. The bottom line is, mowing your own lawn gives you the freedom to make your little patch of grass anything you want it to be. So, what are you waiting for? Get mowing!